The RHME2 is an embedded CTF running on the Arduino Nano board. The participants have to prove their skills both on software and hardware exploitation. Buffer overflows, ROP, C++ exploitation, cryptoanalysis, side channel analysis, fault injection… and all these in an AVR architecture! The pre-registration for the 2nd edition of the RHME challenge is open now. 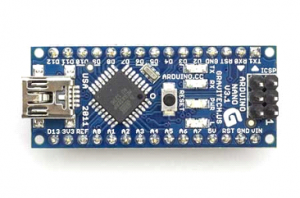 Pre-register now and get your Arduino Nano with the challenges. The boards will be sent for free at the end of October and the CTF will officially start on November 1st. There is a limit of 500 boards and the first to come, the first to ship!